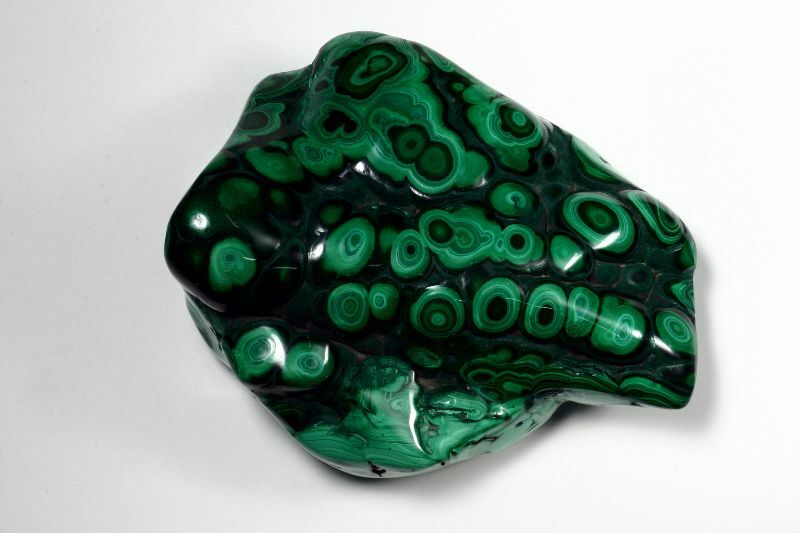 Freeform botryoidal malachite (polished in the DRC). One flat polished surface (upper left in this photo) can serve as a base; the back is unpolished. 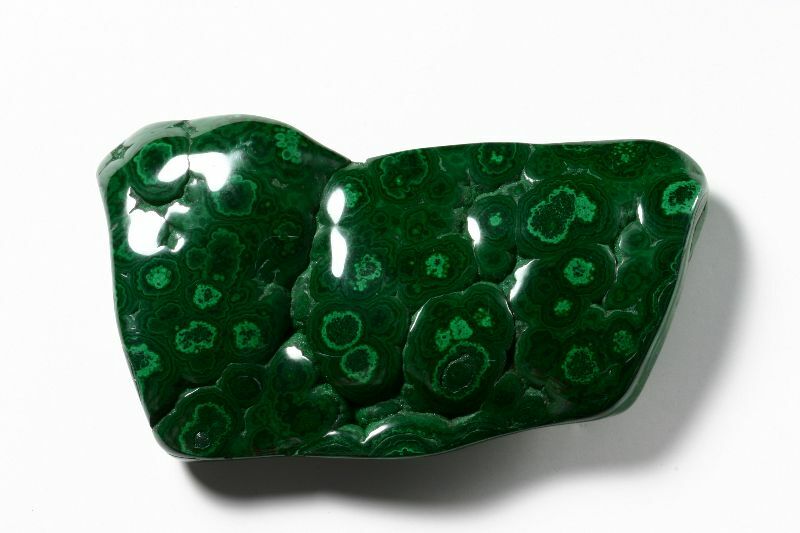 A flat slab of malachite; the back is unpolished. 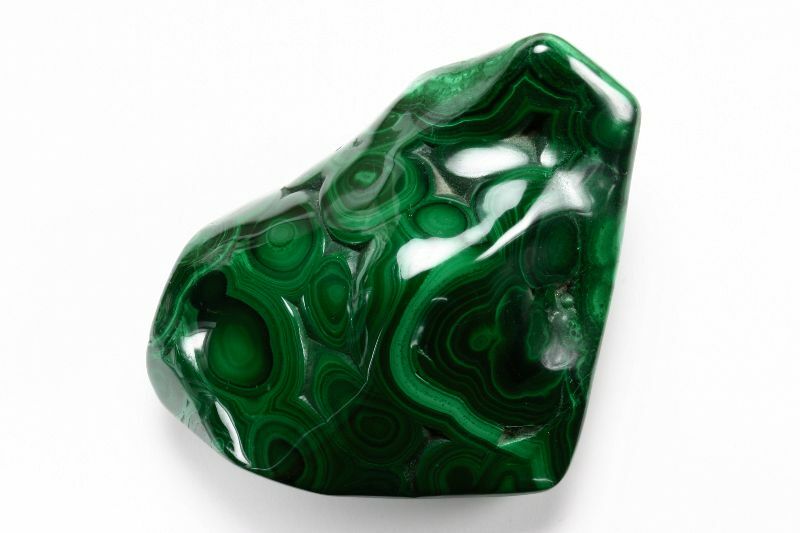 Upper surface and edges are polished; back is unpolished. Polished on one surface, unpolished on the back.